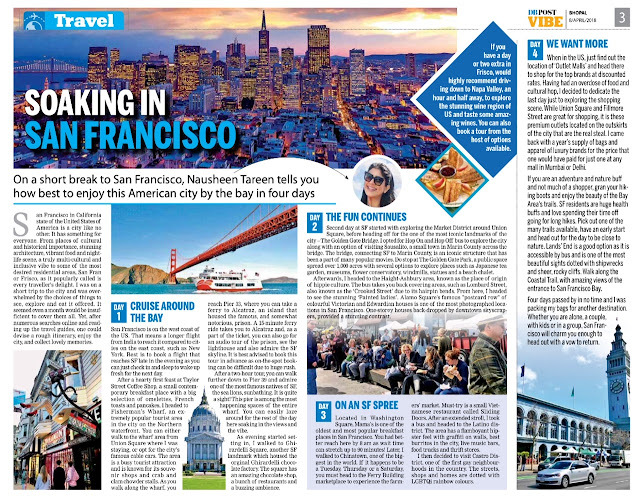 On a short break to San Francisco, Nausheen Tareen tells you how to best enjoy this American city by the bay in four days. San Francisco in California state of the United States of America is a city like no other. It has something for everyone. From places of cultural and historical importance, stunning architecture, vibrant food and nightlife scene, a truly multi-cultural and inclusive vibe to some of the most desired residential areas, San Fran or Frisco as it popularly called is every travellers delight. I was on a short trip to the city and was overwhelmed by the choices of things to see, explore and eat it offered. It seemed even a month would be less to cover them all. Yet, after numerous searches online and reading up the travel guides, one could devise a rough itinerary, enjoy the city, and collect memories for a lifetime. San Francisco is on the west coast of the US. That means a longer flight from India to reach it as compared to cities on the east coast such as New York. Best is to book a flight that reaches SF late evening as you can just check in and sleep to wake up fresh for the next day. And that is exactly what I did too. The city wakes up early and long queues outside breakfast joints were a testimony to how much the city loves its breakfast. 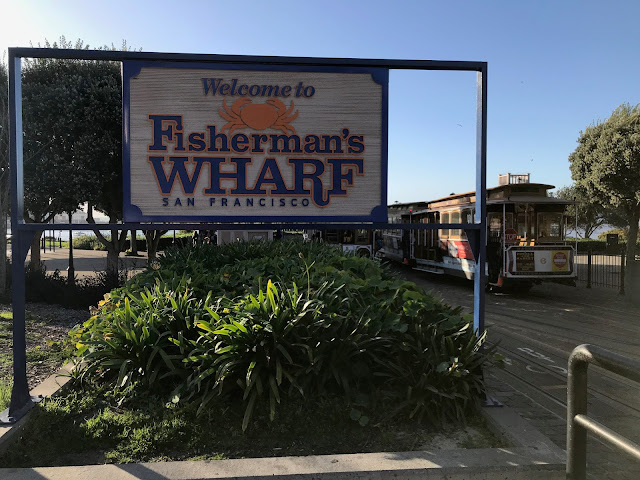 After a hearty first feast at Taylor Street Coffee Shop, a small contemporary breakfast place with a big selection of omelettes, French toasts and pancakes, I headed to Fisherman’s Wharf, an extremely popular tourist area in the city on the Northern waterfront. 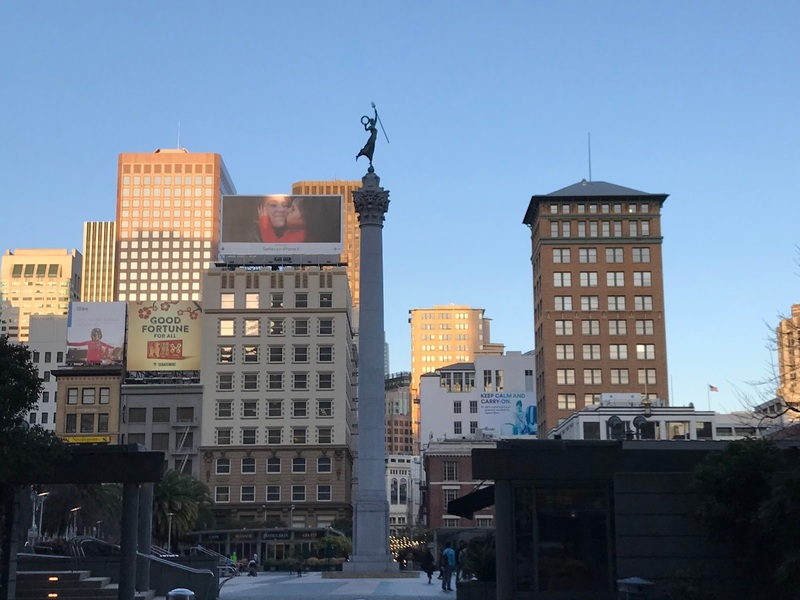 You can either walk to the wharf area from Union Square where I was staying or opt for the city’s famous cable cars. The area is a busy tourist attraction and is known for its souvenir shops and crab and clam chowder stalls. As you walk along the wharf, you reach Pier 33, where you can take a ferry to Alcatraz, an island that housed the famous and somewhat notorious prison. 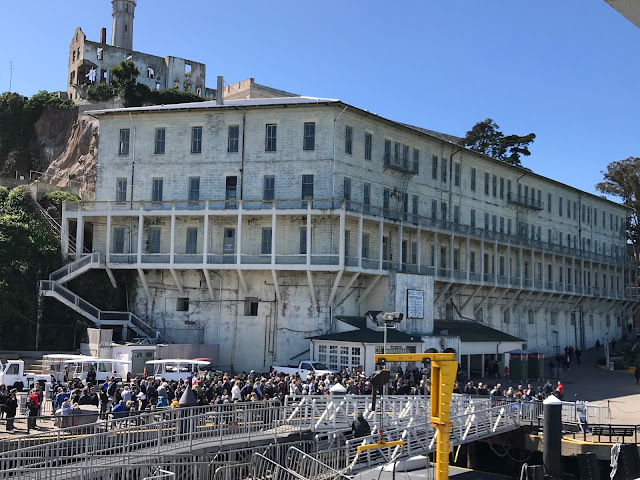 A 15-minute ferry ride takes you to Alcatraz and as a part of the ticket you can also go for an audio tour of the prison, see the lighthouse and also admire the SF skyline. 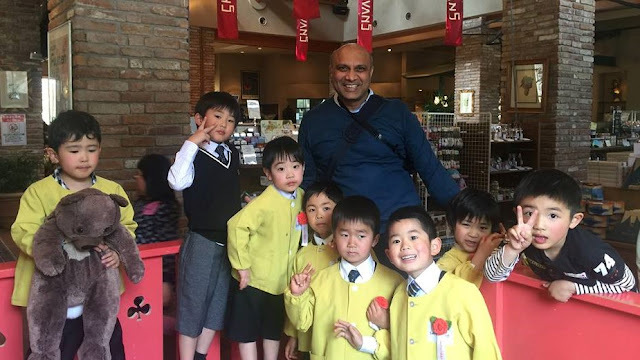 It is best advised to book this tour in advance as on the spot booking can be difficult due to huge rush. 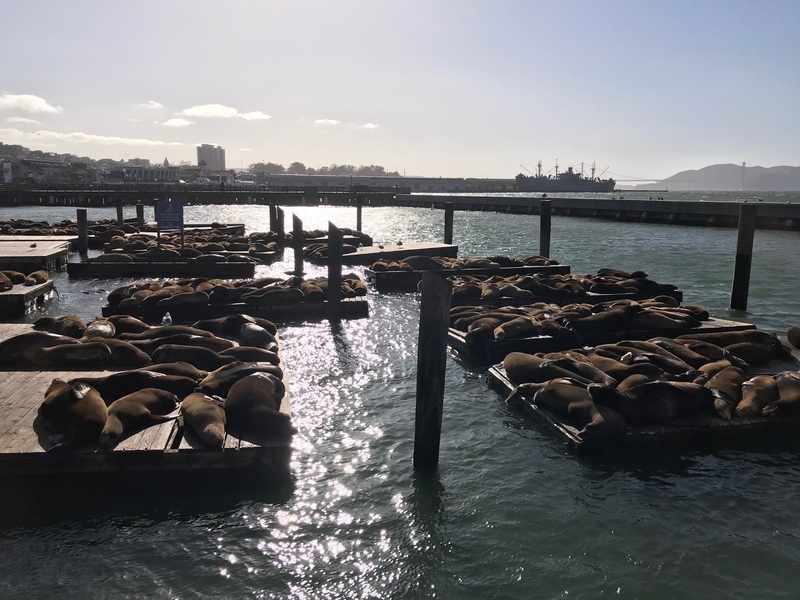 After a two-hour tour, you can walk further down to Pier 39 and admire one of the most famous natives of SF, the sea lions, sunbathing. This pier is among the most happening spaces of the entire wharf. You can easily laze around for the rest of the day here soaking in the views and the vibe. Since, I was running on a tight schedule, I opted for an hour-long cruise that takes you around the entire bay area crossing the famous Golden Gate bridge on one side and the SF-Oakland bay bridge on the other. On my way back, I stopped for a bite at Boudin’s to try their clam chowder served in a sour dough bowl, a SF speciality and a must have. As evening started setting in, I walked to Ghirardelli Square, another SF landmark which housed the original Ghirardelli chocolate factory. The square has an amazing chocolate shop, a bunch of restaurants and a buzzing ambience. I decided to hop from one eatery to another here as one wanted to enjoy as much of the square as possible before walking back to the hotel. 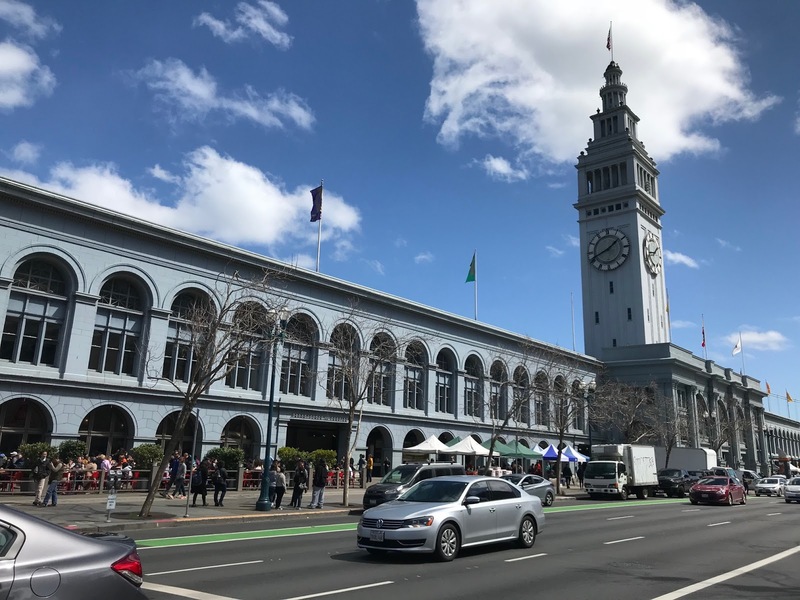 Second day at SF started with exploring the Market District around Union Square, housing all the brands in the world, before heading off for the one of the most iconic landmarks of the city – The Golden Gate Bridge. I opted for Hop On and Hop Off bus to explore the city along with an option of visiting Sausalito, a small town in Marin County across the bridge and one of the most desirable addresses in the state. The bridge, connecting SF to Marin County is an iconic structure that has been a part of many popular movies. 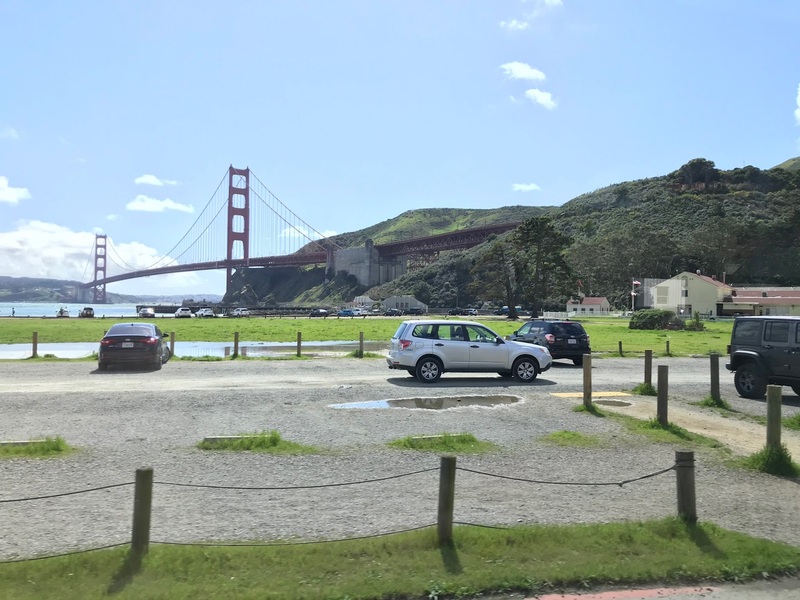 Do stop at The Golden Gate Park, a public space spread over 1,000 acres and said to be the Central Park of SF with several options to explore such as Japanese tea garden, museums, flower conservatory, windmills, statues and a beach chalet. 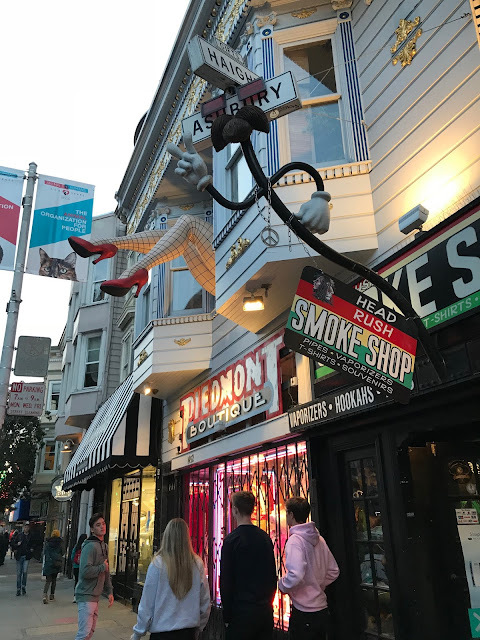 After lazing around in the park for almost two hours, I hopped on to the bus again and headed to Haight-Ashbury area, known as the place of origin of hippie culture. The bus takes you back covering areas such as Lombard Street, also known as the ‘Crooked Street’ due to its hairpin bends. From here, I headed to see the stunning ‘Painted ladies’. Alamo Square's famous "postcard row" of colourful Victorian and Edwardian houses is one of the most photographed locations in San Francisco and is indeed a visual treat. The tight, escalating formation of one story these beautiful houses is back-dropped by downtown skyscrapers, providing a stunning contrast. The grassy square in front is an ideal place to take a break. 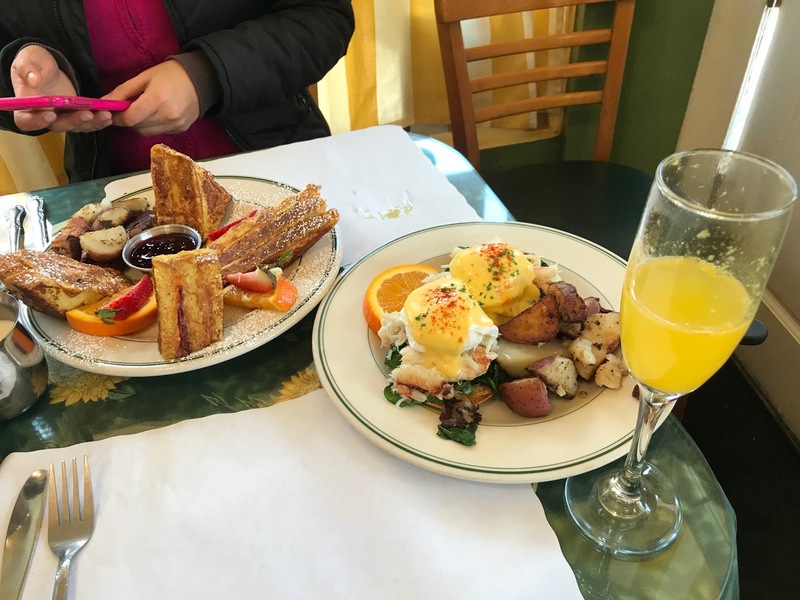 Located on the Washington Square, Mama’s is one of the oldest and most popular breakfast places in San Francisco. You better reach here by 8 am as wait time can stretch up to 90 minutes! After the breakfast here and a short walk in the ‘Little Italy’ area of North Beach, I walked to the Chinatown, one of the biggest in the world, full of shops, restaurants, supermarkets, libraries and cultural places. If it happens to be a Tuesday, Thursday or a Saturday, you must head to the Ferry Building marketplace to experience the farmers’ market. You get to meet local chefs at this al fresco market and try some amazing global cuisine. Must try is a small Vietnamese restaurant called Sliding Doors. After an extended stroll at the farmers’ market, I took a bus and headed to the Latino district. The area has a flamboyant hipster feel with graffiti on walls, best burritos in the city, live music bars, food trucks and thrift stores. 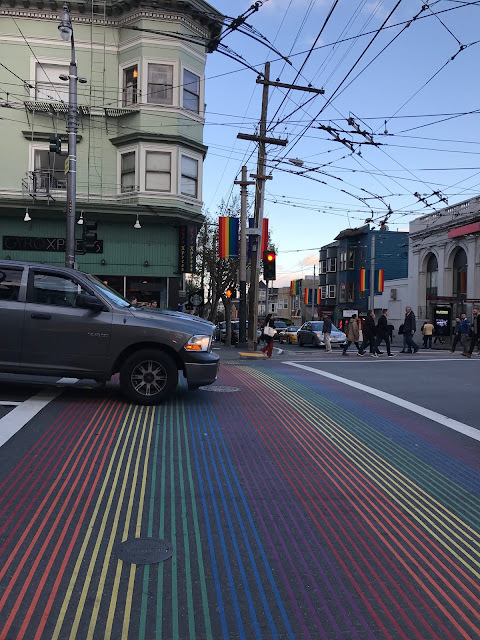 I then decided to visit the Castro District, one of the first gay neighbourhoods in the country. The streets, shops and homes are dotted with the LGBTQI rainbow colours and remains one of the most prominent symbols of activism in the world including hosting the biggest pride parade. Just relax and enjoy the vibe in this colourful area. The day ended with a hearty meal at Japan Town followed by a walk down the fancy Fillmore Street lined with jazz clubs, family run restaurants and fashion boutiques. When in the US, just find out the location of ‘Outlet Malls’ and head there to shop for the top brands at discounted rates. Having had an overdose of food and cultural hop, I decided to dedicate last day just to explore the shopping scene. While Union Square and Fillmore Street are great for shopping, it is these premium outlets located on the outskirts of the city that are the real steal. I came back with a year’s supply of bags and apparel of luxury brands for the price that one would have paid for just one at any mall in Mumbai or Delhi. If you are an adventure and nature buff and not much of a shopper, gran your hiking boots and enjoy the beauty of the Bay Area's trails. SF residents are huge health buffs and love spending their time off going for long hikes. Pick out one of the many trails available, have an early start and head out for the day to be close to nature. Lands’ End is a good option as it is accessible by bus and is one of the most beautiful sights dotted with shipwrecks and sheer, rocky cliffs. 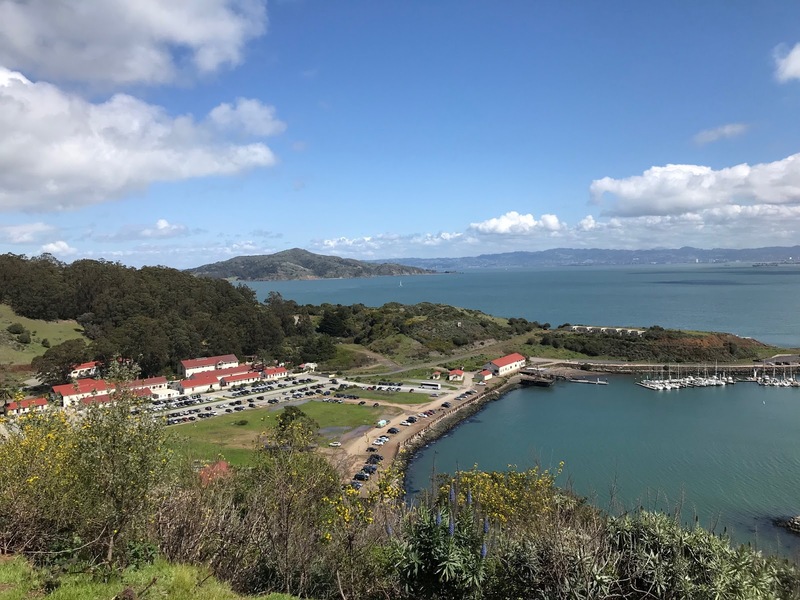 Walk along the Coastal Trail, with amazing views of the entrance to San Francisco Bay. Four days passed by in no time and I was packing my bags for another destination. Whether you are alone, a couple, with kids or in a group, San Francisco will charm you enough to head out with a vow to return again. If you have a day or two extra in Frisco, would highly recommend driving down to Napa Valley, an hour and half away, to explore the stunning wine region of US and taste some amazing wines. You can also book a tour from the host of options available. Tour is something which can refresh your mood all together. You need to make sure you have a package like https://www.shimlapacks.in/shimla-honeymoon-tour-packages-varanasi which has it all. Do not look for a place which leads to chaos. Tour is done for the relaxation of the body and mind.